In this week’s blog we chat to Designer Rugs’ Shane Duckwitz about custom rug design, a fantastic option for anyone looking to individualise this addition to the home. While customisation has been commonplace with window dressings, upholstery and accessories for some time, many people are unaware the service is available for rugs and at relatively low cost, says Shane. “We do have stock you can buy off the rack but custom design is very popular,” he says. “The most unique thing to Designer Rugs is your rug is manufactured for you, it’s not mass produced and they’re all hand tufted or knotted. We can do any rug any size, shape or colour, to inlay into your timber or tile floor or as a free-lay carpet. “We can change the colours in your design too, it’s just about choosing the design first then we do the artwork, the artwork is signed off and the rug is produced in around 8 weeks. 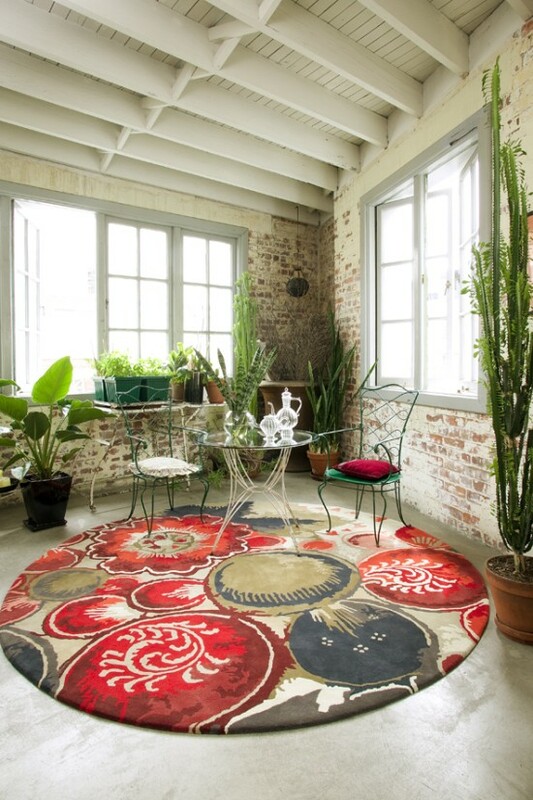 Working with Australian fashion designers including Brisbane’s Easton Pearson as well as Akira Isogawa, Alex Perry and Dinosaur Designs, Designer Rugs has made a name in quality design that adds an artistic edge. “We work a lot with our designers and artists in Australia and adapt their designs with the help of our in-house design team,” says Shane. “People tend to stick to the contemporary modern designs – chevron prints are still very popular as are abstract graphics and a few people make their rug a feature of the room but a lot choose their rug to blend in with the design of the room. As to how to choose the best rug for your room, of course Beadles is here to help, but Shane also advises considering fabric and size first and foremost. “A high traffic area should stick to New Zealand wool whereas a bedroom where the rug is only being walked on a couple of times a day can incorporate a silk fibre,” he says. “If you want to centralise a room with everything being symmetrical it’s good to have a border on the rug. As an instant lift, a rug can make a big impact on the overall mood of your room. “A rug can easily soften a room and bring a room together; it just adds texture to the room,” says Shane.